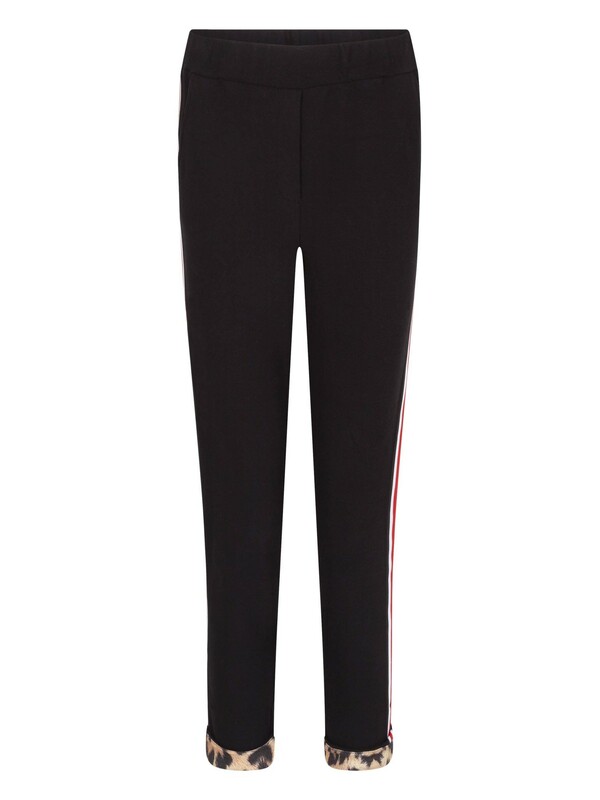 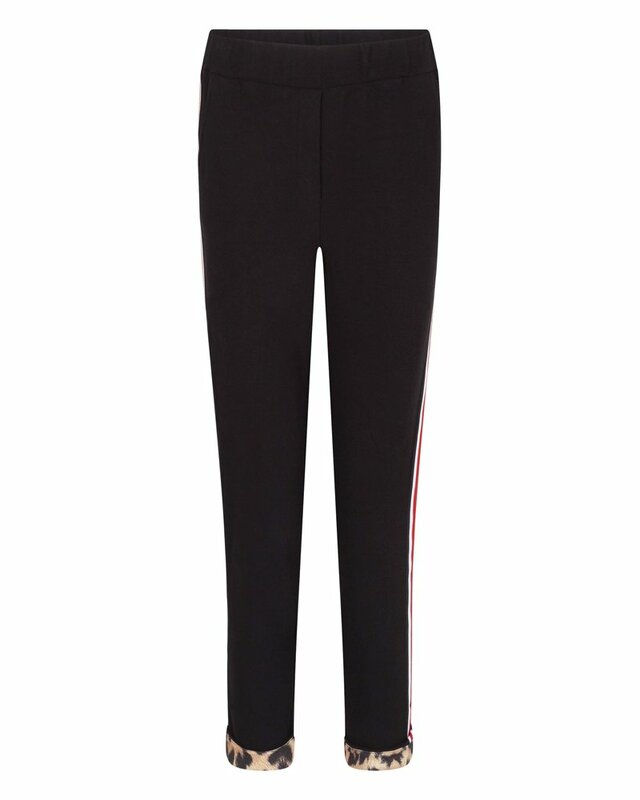 The Philou is black pants with ankle length. 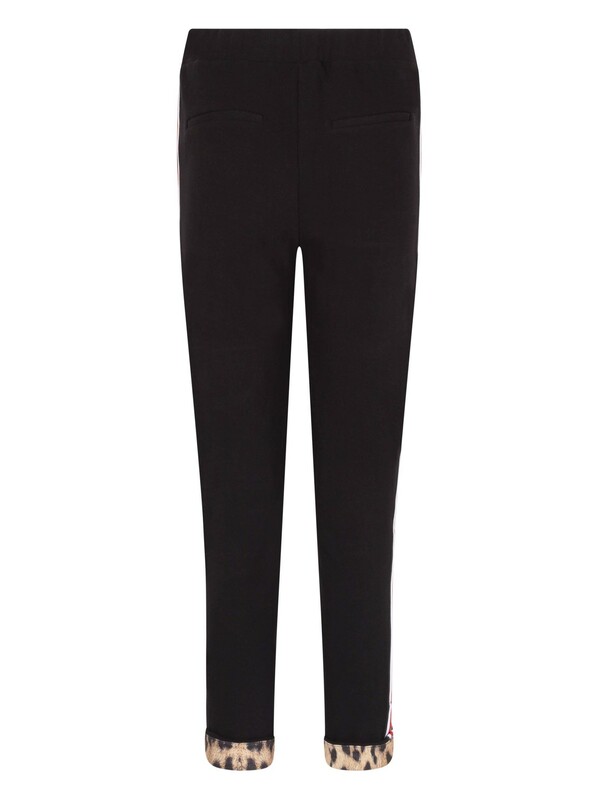 The pants have a cover at the bottom in our well-known leopard print. 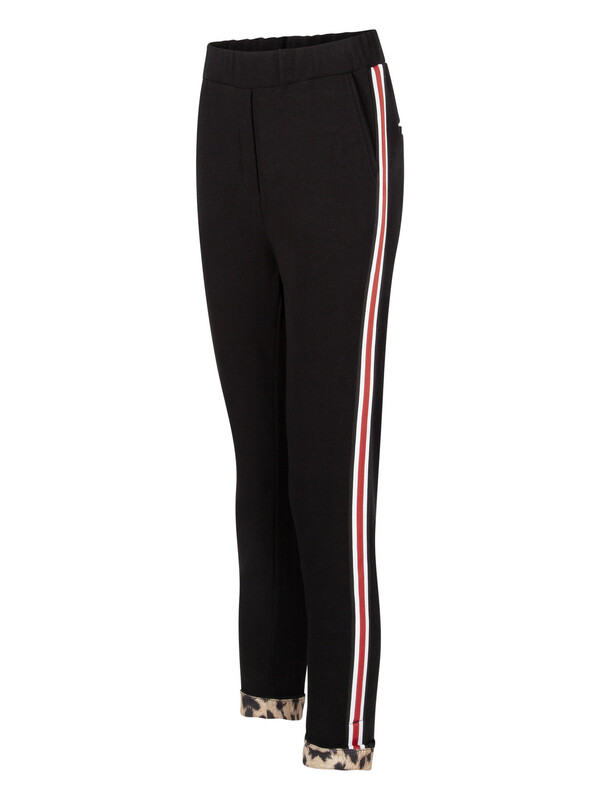 On the side of the Philou pants runs a vertical white with a red stripe. 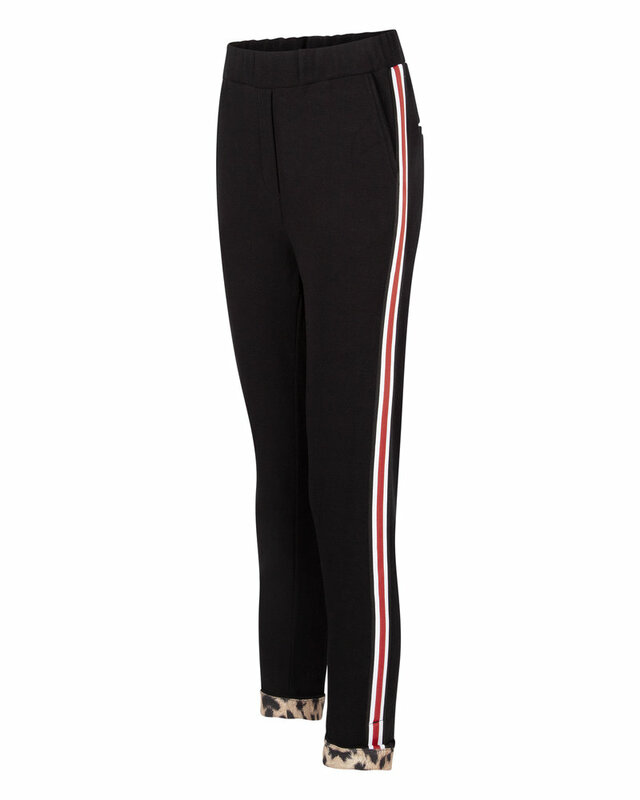 The Philou can be combined with our Abby sweater in the same leopard print.